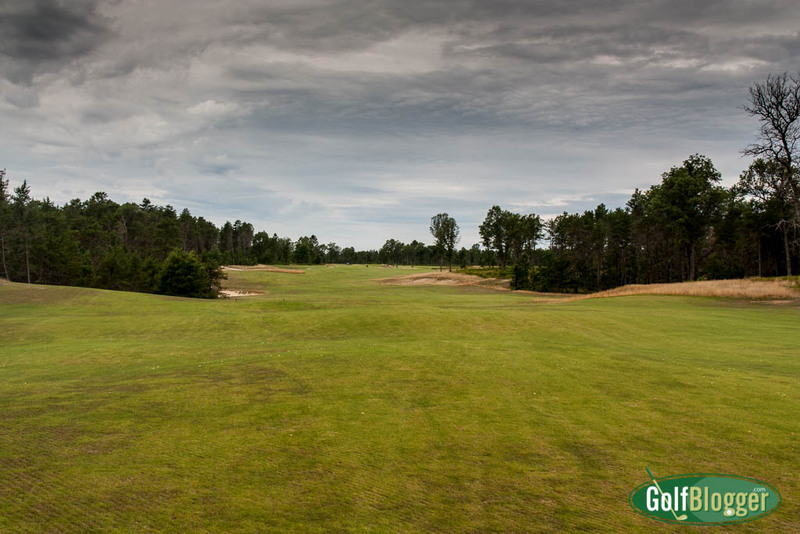 I recently had the chance to play rounds at The Loop At Forest Dunes, Tom Doak’s new reversible course in Roscommon, Michigan. It is a tough course to describe, although on the ground it makes perfect sense. As the name suggests, the course is laid out on a loop. There are eighteen fairways, eighteen greens, and 36 teeing grounds (with three tees in each teeing ground). When playing clockwise, players tee up to the left of the eighteenth green to play out to the first green. That first clockwise green, however, also serves as the seventeenth green on days when the course is playing counter-clockwise. 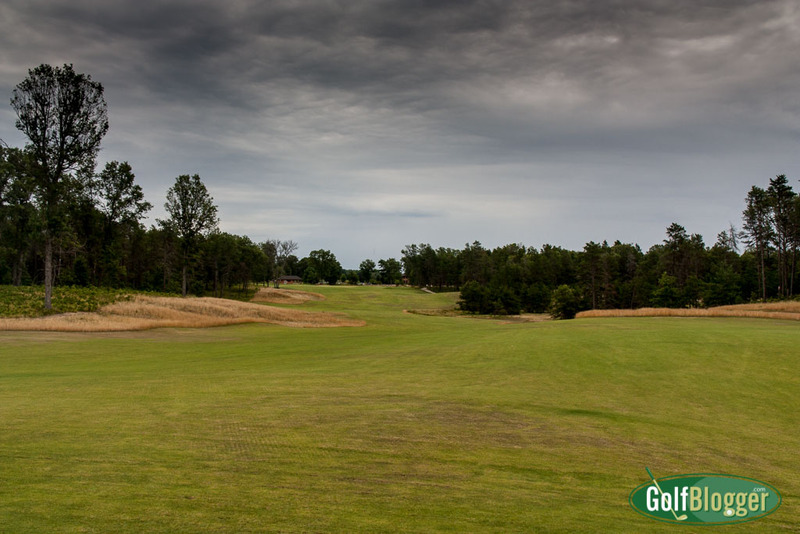 On those days, players will tee up to the right of the green and play to the eighteenth. The amazing thing about the course is that it feels like different courses, even though you’re playing on the same eighteen fairways and greens. Here’s an example: The top photo is a view from the first tee playing clockwise. The second is the same fairway, but playing as the eighteenth hole counter-clockwise. Standing on the first teeing ground, looking down the first fairway when The Loop is running clockwise. This is also the 18th fairway, going counter-clockwise. Standing on the eighteenth teeing ground, looking down the final fairway when The Loop is running counter clockwise. This is also the 1st fairway, going clockwise. I’ll have more on The Loop at Forest Dunes soon.